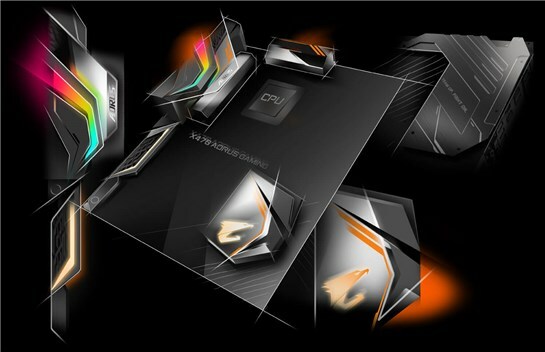 AORUS X470 Gaming Motherboards feature a design concept inspired by the wings of an eagle. The sleek design of the I/O armor resembles the shape of the wing while the claw marks and airflow design are inspired by the wing's impressive aerodynamic features. 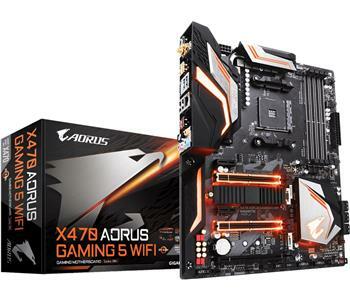 GIGABYTE X470 AORUS Gaming motherboards are based on the AMD X470 Chipset, and support 2nd Gen AMD Ryzen™ Processors. These selections of boards come with new ID design and covers a wide spectrum of price points and features including Gen3 PCIe lanes, future proof connectivity with USB Type-C™ as well as improved Audio and WIFI capabilities while providing all the performance and novelties of the new chipset. The motherboards represent the 2nd Gen AMD Ryzen™ Processors' performance on this new AMD X470 platform by means of an updated power design, offering the best experience to the users who care about performance. AMD introduces the latest Ryzen™ 2000 series processors to provide the computing power for gaming need. GIGABYTE's X470 series motherboards perfectly fit the latest AMD Ryzen™ 2000 series processors' computing performance with more features and more control. Users can enjoy the benefits brought by AMD Ryzen™ 2000 series processors. GIGABYTE X470 motherboards maximize your PC's potential with AMD StoreMI technology. 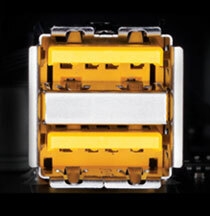 StoreMI accelerates traditional storage devices to reduce boot times and enhance the overall user experience. 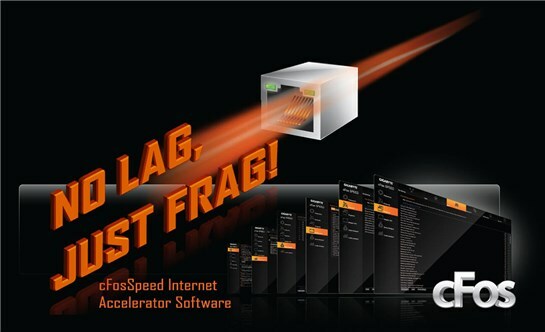 This easy-to-use utility combines the speed of SSDs with the high capacity of HDDs into a single drive, enhances the read/write speeds of the device to match that of SSDs, bolsters data performance for incredible value, and transforms the everyday PC to a performance driven system. 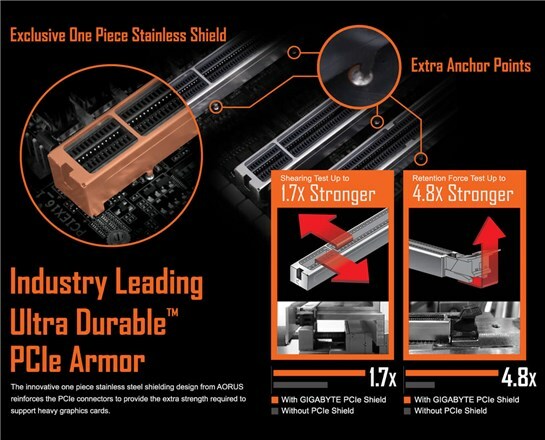 AORUS X470 motherboards use a 8*+3 phase PWM + Lower RDS(on) MOSFETs design to support the 2nd Gen AMD Ryzen™ processors by offering incredible precision in developing power of the motherboard's most power-hungry and energy-sensitive components as well as delivering enhanced system performance and ultimate hardware scalability. With Dual M.2s available on the AORUS X470 motherboards, configuring RAID Arrays has never been simpler. New VB series audio controller stream your voice to the world vibrantly with both front/rear microphone SNR up to 110/114dB(A). 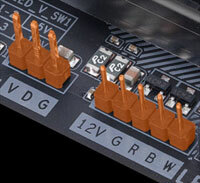 The AORUS motherboards boast a combination of Hi-Fi grade WIMA FKP2 capacitors and high-end Chemicon audio capacitors. 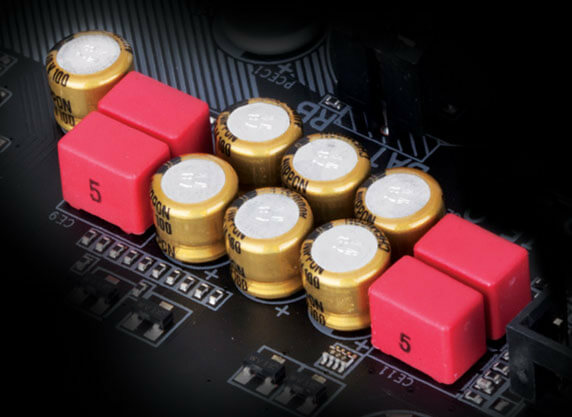 While the high-end audio capacitors are suited for high-grade audio equipment, using state of the art technology to provide rich sound in the bass and clearer high frequencies, the WIMA FKP2 capacitors are being used widely in premium grade Hi-Fi systems. The addition of this to the exclusive AOURS AMP-UP Audio technology makes for the ideal onboard sound solution for the most demanding audiophiles. 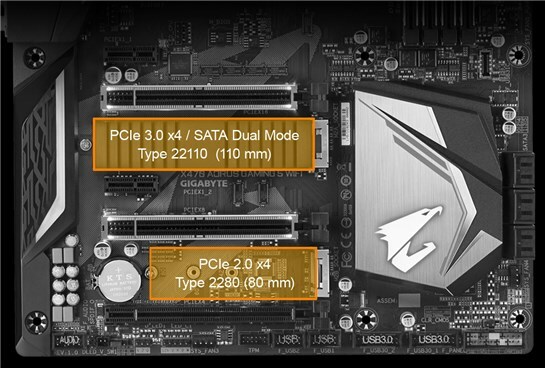 Equipped with next generation connectivity AORUS Gaming Motherboards already support the chassis of the future. The onboard USB Type-C™ header for USB 3.1 Gen2 makes access convenient when connecting a USB 3.1 Gen2 drive or charging your new mobile device. 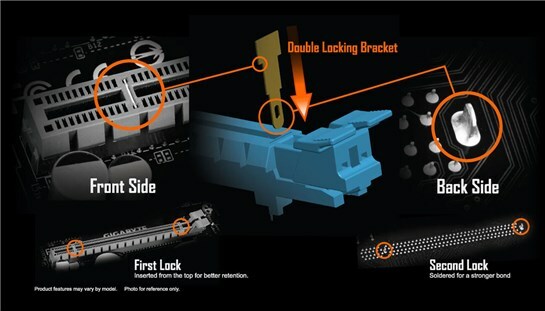 AORUS Gaming Motherboards will support either 5v or 12v digital LED lighting strips and up to 300 LED lights. RGB Fusion with Digital LEDs comes with 9 new patterns and various speed settings with more to come. * Digital LEDs are available only on select Motherboards, external LED Strips, Digital LED Strips are not included with Motherboard purchase. 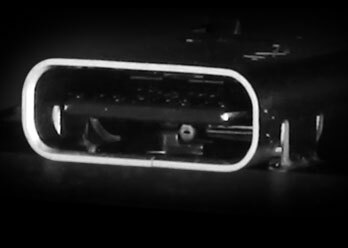 Multi-light zones are equipped with high brightness RGB LEDs, namely the Armor, Audio, PCI-Express and PCH. When it's all set and done, your system will shine like never before. 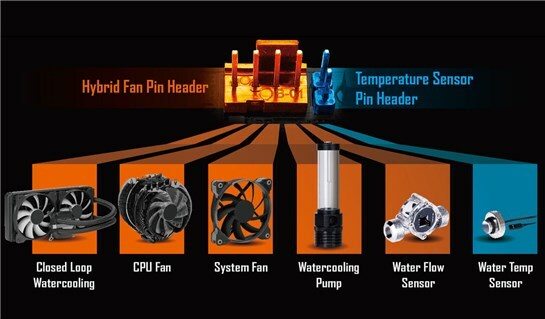 • All Hybrid Fan Headers can automatically detect the type of cooling device whether it be fan or pump with different PWM or Voltage mode..
AORUS' exclusive one piece stainless steel shielding design prevents against PCB distortion and twist,plate bending, in addition to preventing any possible ESD interference.